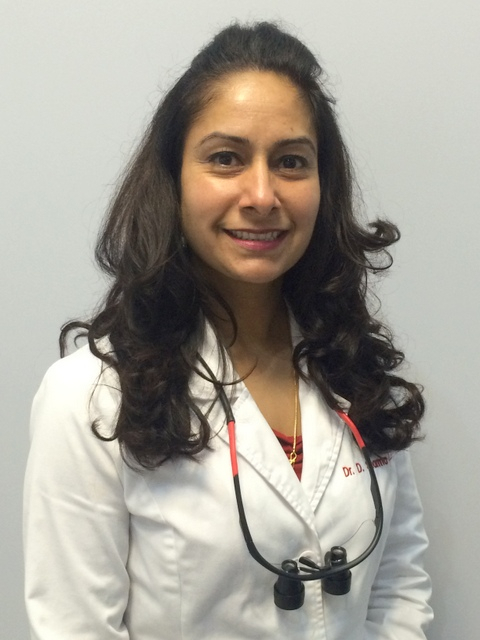 Dr. Sharma offers the convenience and efficiency of a single provider practice and uncommon accessibility for all her patients. Since patients are only seen by one Dentist, they receive a continuity of care and high level of personal Dental attention seldom experienced in larger practices. This family home-based practice enables patients to resolve Dental issues in one location without the additional expense and time of traveling to other Dental Specialists. We believe that a beautiful smile can brighten your life and that strong teeth and healthy gums are essential to your overall good health. Our brand new office has been designed with the latest in patient comfort and Dental technology for young and adult patients alike. Yes, we welcome children to our practice. We offer general dentistry for all ages, orthodontic treatment, sedation dentistry using nitrous oxide gas, we can also make you a beautiful set of dentures should you require them. If you are looking for a new Dentist or are new to the area, come meet our professional dental team. We are dedicated to making your dental visit a comfortable and a pleasant experience. We are proud to accept most insurances. We have been recognized as The Leading Physicians of the World and Top Dentist In Niagara Falls , Ontario.